Taste deficits appear to be more prevalent among multiple sclerosis (MS) patients than previously reported and correlate with brain lesions left by the debilitating disease, a new study from the University of Pennsylvania's Smell and Taste Center and the department of Radiology found. The more lesions spotted on an MRI, the worse the taste function of the patient, the multi-institutional team reported in the Journal of Neurology. The researchers, including lead author Richard Doty, PhD, director of Penn's Smell and Taste Center and professor of Psychology in Otorhinolaryngology: Head and Neck Surgery at Penn's Perelman School of Medicine, administered a standard taste test (sweet, sour, bitter, and salty) to 73 MS patients and 73 controls subjects, along with MRI of 52 brain regions known to be impacted by MS in both groups. They found that the neurological disease significantly influenced the ability to identify tastes, especially salty and sweet. Fifteen to 32 percent of MS patients—which is nearly twice as high as previous studies found—had taste scores below the 5th percentile of controls. What's more, taste scores were inversely correlated with lesion amounts and volumes in the large sectors of the frontal and temporal lobes, the higher regions of the brain, identified on the MRI. "This study represents the most comprehensive study preformed to date on the influences of MS on the ability to taste," Doty said. "It appears that a sizable number of these patients exhibit taste deficits, more so than originally thought. This suggests that altered taste function, though less noticeable than changes in vision, is a relatively common feature in MS.
"These findings give us a better insight about that relationship, as well as the areas of the brain that are more likely to impact the dysfunction when scarred from the disease." Common symptoms associated with MS include vision loss (optic neuritis), a hallmark symptom of MS, fatigue, facial pain and cognitive difficulties, among others; however, the connection between taste problems and MS is less clear and reportedly rare. Some studies put the number as low as five percent and as high as 20 percent, though many were self-reported accounts or included smaller number of patients with little detail about testing. Also, patients often mistake olfactory issues with taste problems, skewing the numbers. Importantly, the correlation between taste dysfunction and the myelin-related lesions—which are caused by the nerve damage from the disease—has not been made. Isabelle A. Tourbier, a researcher in the department of Otolaryngology: Head and Neck Surgery and Smell and Taste Center at Penn, and Jayaram K. Udupa, PhD, chief of the Medical Imaging section in the department of Radiology at Penn, are co-authors on the study. The team also included researchers from Johns Hopkins University, Michigan State University, Columbia University, Izmir Institute of Technology in Turkey, and the Henry Jackson Foundation. MS affects the central nervous system, with more than 450,000 people in the United States living with the autoimmune disease, making it among the most common neurological illnesses in North America. Although MS can appear at any age, it most commonly begins between the ages of 20 and 40, and affects women twice as often as men. 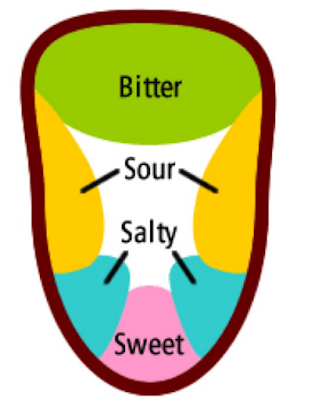 For the taste tests, concentrations of each of the four tastes were pipetted on the left and right sides of the front and back of the tongue for a total of 96 tests for each of the participants. 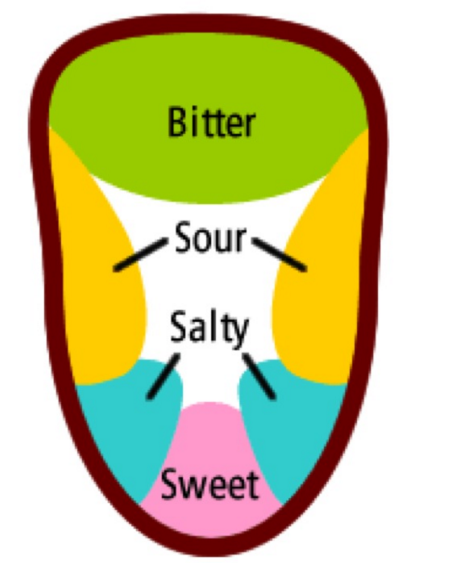 Each identified the taste (sweet, salt, bitter, sour) and graded each test on a scale from "very weak" to "very strong." Based on the tests, the percentage of MS patients with identification scores falling the below the 5th percentile of the controls was 15.07 percent for caffeine, 21.9 percent for citric acid, 24.66 percent for sucrose, and 31.50 percent for sodium chloride, the researchers found. Such scores were inversely correlated with lesion volumes in the brain, including temporal, medial frontal, and superior frontal lobes, and the number of lesions in the left and right superior frontal lobes, right anterior cingulate gyrus, and left parietal operculum. Regardless of subject group, women outperformed men on taste measures, which mirrors what previous taste studies have found. It is likely due to the fact that women have more taste papillae and taste buds than men, the researchers note.